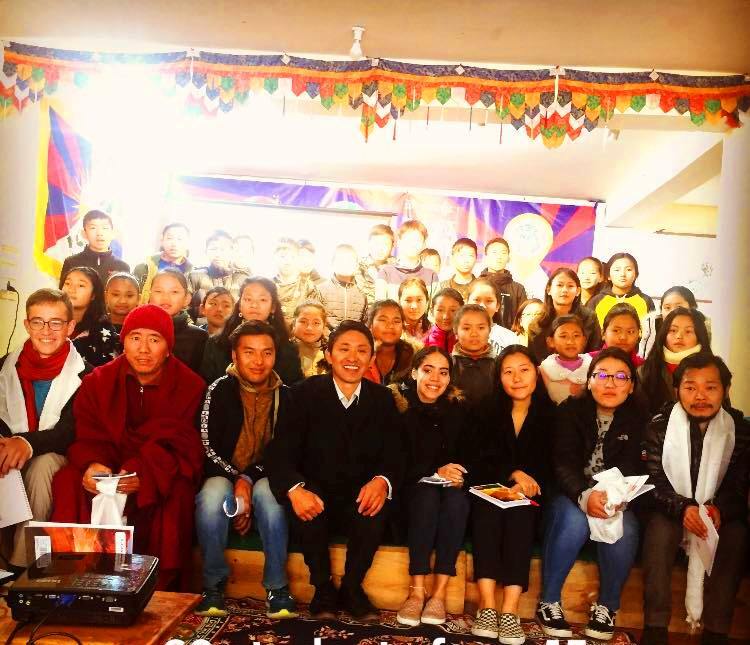 Tibet World stepped into year 2019 by conducting 5th winter program for school children during their winter break for one month. The winter program was for students of class VI to X. The subjects include Tibetan, English, Science and Mathematics. The program has two packages, one is morning and the other is afternoon package. Each package has three hour of teaching and four different subjects are taught for one hour each. This year 70 students attended winter program and they came from 10 different schools. d)Winter Program of Tibet World takes care of school children for 3 to 6 hours a day and hence parents can easily continue their daily job to earn the bread for the family. On 31st December 2018, orientation day was conducted at Tibet World. In the morning all teachers were assigned one class each and respective class students were distributed with identity cards, books and pens. At sharp 10:00 am the orientation program started at Lhasa hall of Tibet world building. 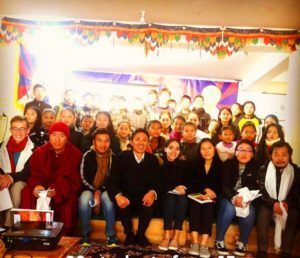 The Education Secretary, Tenzin Choegyal welcomed everyone and director, Yeshi Lhundup la interacted with students, teachers and parents regarding the winter program. He spoke about the significance of the winter program and also the rules and regulation to be followed by the students for one month winter program. We welcome and introduce volunteer teachers by offering white scarf. During the program tea and snacks were arranged for everyone who came for the orientation program. At 12:30 pm all the volunteer teachers of various subjects had special lunch together with the staffs of Tibet World. After lunch a meeting was held along with all the teachers along with the director YeshiLhundup and education Secretary Tenzin Choegyal. The meeting was held to get an idea about how to go about during the winter program. The teachers for the 2019 winter program was selected out of number of applicants. 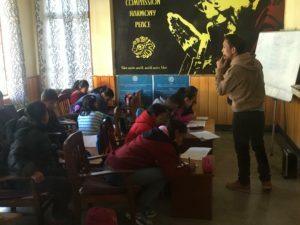 Our priority while selecting teacher was to find a teacher who is really willing to serve the Tibetan community and who is very enthusiast in teaching to school kids. We feel proud to state that this year we could arrange teachers who are well qualified and very much interested to teach our students. We arranged a teacher training for our winter program teachers. Our trainer was Mr. JamyangGyaltsen. He is an excellent speaker and expert in the field of education and teaching. He gave teacher training on “Constructivism Theory” and gave very important insights into the teaching and learning process. Itishelped our winter program quality better and the students could learn much more. Code founder and director YeshiLhundup thanking Mr. Gyaltsen with the gift of “four harmonious friend” wall hanger. 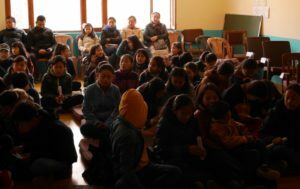 Tibet World winter program classes . We gave two examinations at beginning and end of the program. The teachers distributed their answers sheets to them. The teachers wrote the remarks/ feedback to each student at the back of the paper. The answer sheet of the student with the remark was given to students on the last day at the parent teacher meeting. Teacher- parent meeting with students after the examination of winter program. Parents were given feedback on their child by respective teachers. On 26th January 2019 winter program was formally closed. 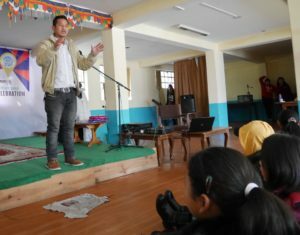 At sharp 10:00 am the program was started with the education secretary Tenzin Choegyal. Since this also marks the Republic day of India, taking the opportunity of the occasion education secretary thanked and congratulated Indian government and Indian people. After that, thanks giving ceremony was carried out by offering scarf, experience certificate and token of appreciation gift to all generous volunteer teachers. This was followed by serving tea and snacks to everyone present in Lhasa hall and the most exciting event was held i.e. Talent show. We had 7 students group show their wonderful talent show from each class. In fact from class VI student showed two talents. At the end, education eecretary gave surprise talent by singing the song from the movie 3 Idiot, “Give me some sunshine”. Thus the winter program closing ceremony was put halt with the vote of thanks by the education secretary . The same day a farewell dinner party was arranged by Tibet World to the entire volunteer teachers and staffs. 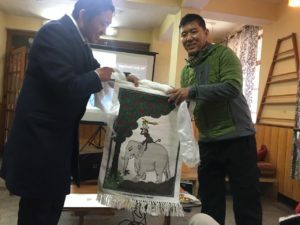 Thus the 2019 winter program went smoothly and hopefully Tibet World will conduct 2020 winter program with all the possible improvements and colourful results.